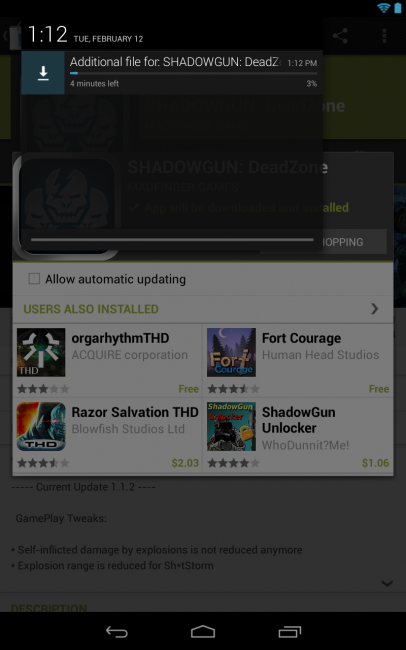 After updating to Android 4.2.2 this morning, one of readers noticed that app installs and updates in the Google Play store are now showing estimated time of completion in the notification bar along with percentage complete. In the past, the notification area simply showed a status bar of the progress it had made. If you wanted more detailed information, like percentage complete, you had to stay on the actual app page during the update or install. The Google Play store is still 3.10.10 after updating to Android 4.2.2. Noticing anything else in 4.2.2?